Fighting a war of independence should be turmoil enough for a small country, but in 1970, the people of Bangladesh also had to deal with a deadly cholera outbreak. Fighting a war of independence should be turmoil enough for a small country, but in 1970, the people of Bangladesh also had to deal with a deadly cholera outbreak. This water-borne disease threatened the country’s plentiful surface water and put public health at risk. To solve this crisis, the government, together with international aid agencies, dug thousands of wells. But the clean water they hoped to deliver created a new crisis, what one researcher calls the largest mass poisoning on the planet. Fast-forward 20 years. Symptoms of arsenic toxicity were beginning to appear in the population. Skin lesions were misdiagnosed as leprosy and led to social exclusion. Worse, skin lesions are a potential precursor to cancer. 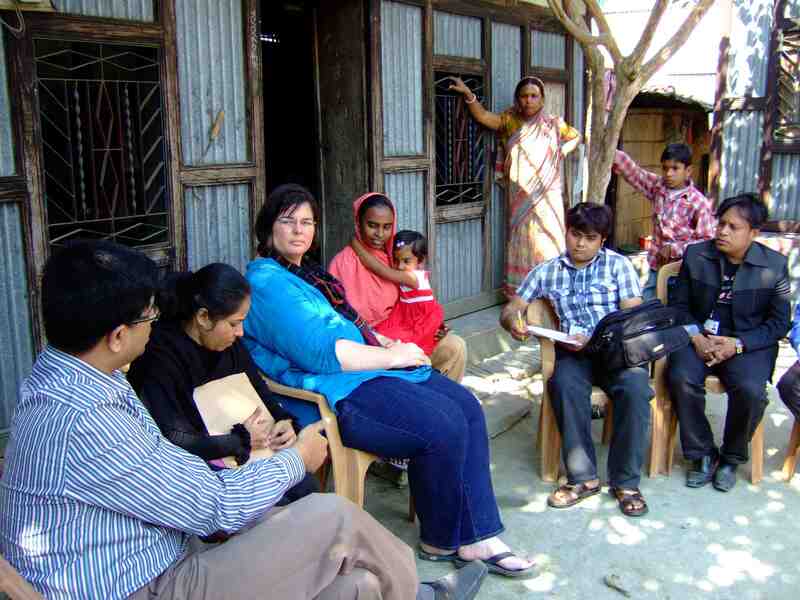 Molly Kile, an environmental epidemiologist at Oregon State University, and her Harvard mentor David Christianie first traveled to Bangladesh in 2003 to study the health effects associated with arsenic in drinking water. “Our efforts have largely been understanding the epidemiology (of arsenic exposure) and the human health risk associated with it,” says Kile. She first traveled to Bangladesh as a doctoral student at Harvard and has returned more than 20 times. Scientists know that exposure to high levels of arsenic can lead to cancer, but Kile, an assistant professor in the College of Public Health and Human Sciences, wants to know how the metal affects other aspects of health, such as reproduction and child development. Local groups, she says, can effectively translate her results into disease prevention, but many participants in her research are among the most vulnerable in the country. Reproductive health effects stem from the fact that the toxic metal crosses the placenta and exposes the fetus. Low birth weight and spontaneous abortions have been associated with arsenic exposure in utero. Kile also uses genetics to look for variations among individuals that increase or decrease susceptibility to skin lesions. Perhaps the most frightening aspect of arsenic is its invisibility. “You can’t taste arsenic. You can’t smell it, you can’t see it, you have no idea its there unless you test for it,” she adds. Not being able to detect arsenic by sight or taste has raised the stakes for communities that lack the resources to test or treat their drinking water. Kile’s favorite way to test for arsenic in people may come as a surprise: the human toenail. Toenails are composed of keratin, which contains chemical combinations of sulfur and hydrogen called sulfhydryl groups. As arsenic in the body binds with these sulfhydryl groups, it accumulates in the toenail. 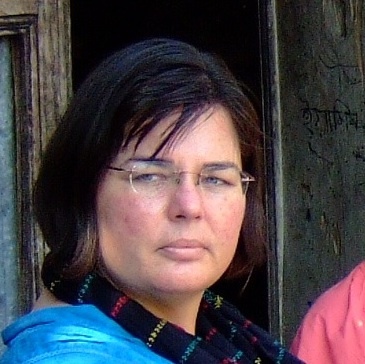 Kile calls the health crisis in Bangladesh a preventable disaster. Arsenic was known to be present in large parts of western Asia, but that wasn’t considered in the 1970s when the country transitioned to groundwater. Research elsewhere suggests that as exposure declines, skin lesions may go away with time, but such studies are still in progress. Despite Kile’s start with arsenic being half-a-world away, the issue isn’t so far from home. She calls Oregon “arsenic country” and has been conducting water-testing workshops in communities east of the Cascades. In the United States, technology can remove arsenic from drinking water. So far, there have been no arsenic-related health problems recorded in Oregon. Scientists estimate that up to 100 million people are exposed to elevated levels of arsenic in Bangladesh alone. Whether you are drawing from a well in Bangladesh or Oregon, researchers like Kile are racing to fully understand the impacts of this invisible contaminant. Listen to a podcast with Kile.